Take a look at interesting and unusual facts about Roald Dahl, the author of the original Matilda story. He has Norwegian roots- Not only were Dahl’s parents both Norwegian, but he was also named after Norwegian polar explorer Roald Amundsen. He wrote James Bond film “You Only Live Twice”- The script for the 1967 film starring Sean Connery was written by Dahl. He invented the infamous Child Catcher– In another link with the Bond author Roald Dahl wrote the screenplay for Ian Fleming’s book “Chitty Chitty Bang Bang”, inventing an ultimate evil villain. He dabbled in inventing- After his son was in a car crash, Dahl co-invented a special cerebral shunt which allows fluid to be drained from the brain. It is named the Wade-Dahl-Till valve. 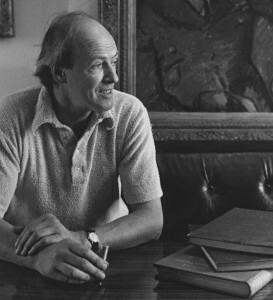 His favourite writing spot was in his shed- In his garden in Buckinghamshire, Dahl had a shed where he did all his writing on yellow paper using a pencil. He created more than 250 new words– Roald Dahl was very creative in coming up with new words. The collection of words, named Gobblefunk, includes the more familiar (for example, Oompa Loompa, scrumdiddlyumptious and snozzcumber) with the completely unusual (such as Frobscottle, Bootbogglers and Gunzleswiped)! Many of these words have entered common usage, and will all be featured in the new Roald Dahl Dictionary from Oxford University Press in 2016. He wrote over 70 stories and books in total-Including 21 children’s picture books, novels & poetry collections as well as over 50 stories for adults. He was tall– Roald Dahl was approximately 6’6” tall. He was multilingual– Dahl could speak English, Norwegian and Swahili. He loved chocolate– As many of his stories indicate, Dahl had a sweet tooth and loved chocolate, however he didn’t like chocolate cake or chocolate ice cream. His characters were based on real people- Many of his characters were inspired by people Dahl met in real life. He enjoyed photography-Alongside writing, Roald Dahl enjoyed photography and often carried a camera with him. He had 5 children- Their names were Olivia, Tessa, Theo, Ophelia and Lucy. His birthday is celebrated around the world – Roald Dahl’s birthday, 13th September, is celebrated as Roald Dahl Day by many schools and libraries every year – with the biggest ever celebrations taking place in September 2016 to mark the centenary of his birth!